Heat oven to 375°F (350°F for dark or nonstick baking sheet). In small bowl, mix cooked beef, ranch dressing and bacon. Spoon beef mixture on the half of each rectangle closest to centre of ring; top each with 2 pickle slices and 1 piece of cheese. 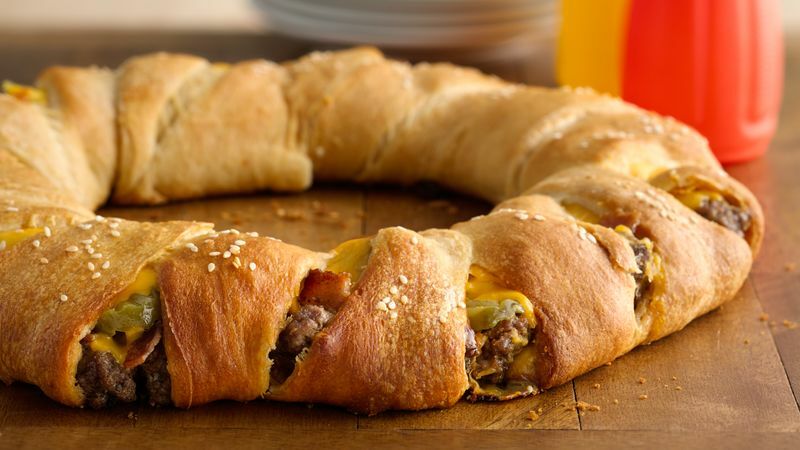 Substitute Cheddar cheese with Swiss, Colby-Jack, Cheddar or pepper Jack for different variations. Ground turkey can be used in place of ground beef.